“Can the Resistance rise from the Underground? And who will lead them if they can? 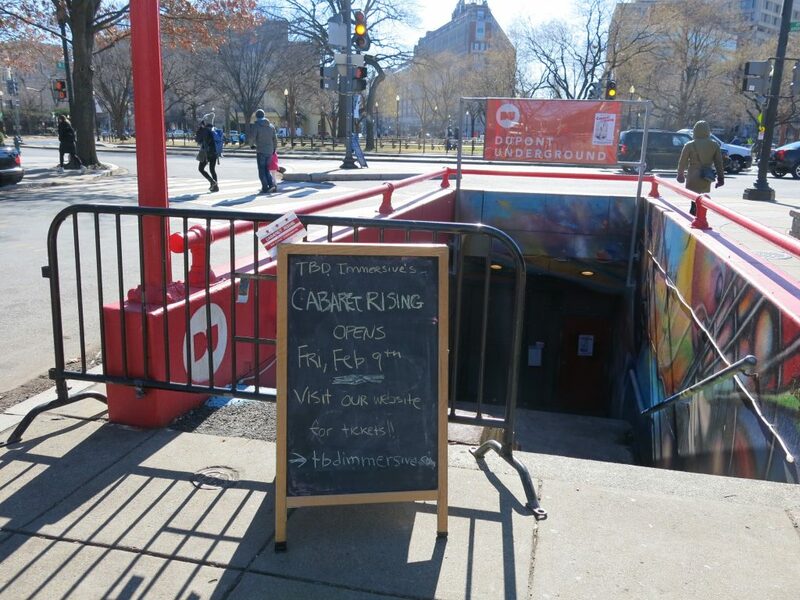 D.C. theater company, TBD Immersive, kicks off its production of “Cabaret Rising: One Nation Underground” this Friday, February 9 at Dupont Underground. The restored space that lies beneath Washington, D.C.’s Dupont Circle will be transformed into a one-of-a-kind immersive theater where the decisions from the actors – and the guests – impact every aspect the show. “Cabaret Rising” ticket holders will experience a 360-degree sensory explosion of interacting with theatrical story lines while being immersed in a historic underground space. They will also have access to food and beverage specials at neighboring Dupont restaurants, Urbana and Firefly. “Cabaret Rising: One Nation Underground” transports guests into a world where survivors are part of ‘The Resistance’ movement. 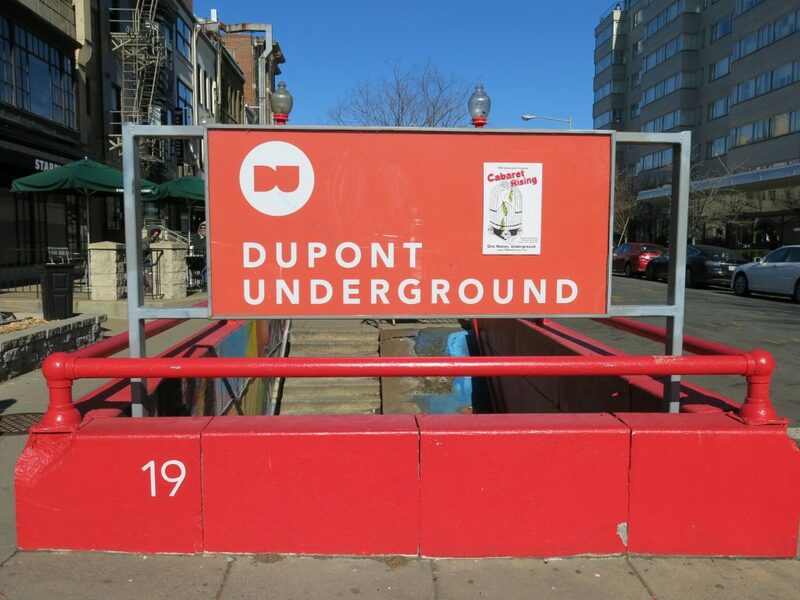 They have retreated to the only remaining safe haven: Dupont Underground. One year prior, a populist republic carried out an execution-style shooting of a journalist. Sheltered in the abandoned tunnels with grifters and ghosts, the movement is splintering under the weight of rumors of collusion, a rising radical faction, and a brand-new threat: an outsider who can shut everything down with one wire transfer. After every evening show, ticket holders have the option to meet the cast at neighboring underground restaurant, Urbana. Fans of the show can keep ‘The Resistance’ conversations going – or simply unwind with late-night food and cocktails. Choosing alliances, solving puzzles, and meeting contortionists can be tiring after all. Any guest that comes into the restaurant on Friday, Saturday, and Monday evenings with the password “UNDERGROUND” will be given access to Urbana’s happy-hour menu and prices. For the Sunday matinee shows, ticket holders will be treated to a special discounted “Cabaret Rising” cocktail at Firefly with purchase of a brunch entrée. Any guest that comes into the restaurant for Sunday brunch with the password “UNDERGROUND” will be given access to this brunch deal.